Step 2 was a little tricky since I was using a narrow patterned stamp (from the TGF Spotlight Kit). I had to ink 1 side at a time. I used 5 strips vertically and horizontally. I wove the vertical strips in and out of the horizontal ones. You can tighten and straighten the strips as you go along. 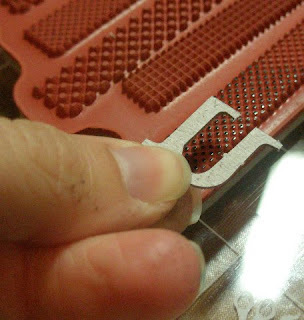 I added adhesive here and there to help secure. How are ya, sweetie! I have missed stopping by (will correct that as soon as my crew are back in school!) This is darling! What a terrific technique - blessings! Wow, the detail in this is AMAZING! I love those little letters, and the weaving technique is awesome! 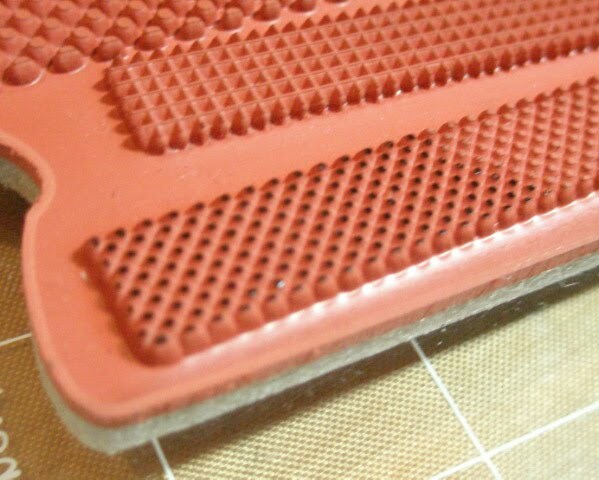 So cool technique! Thanks for sharing! Wow Pryn!! Awesome card. 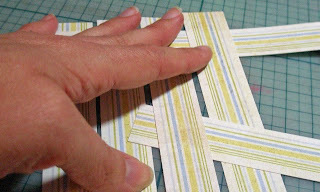 I love the patterns on the raw chipboard & how you weaved your pp!! Hey from a fellow Burgh'er (well north of Pgh anyway). 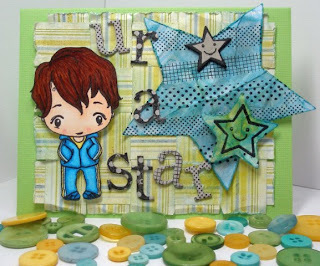 Super cute card, I am trying to figure out how you did that without getting ink all over your fingers (which is what I would have done LOL). I just adore this card & I want to thank you for telling us how you did it! I'm loving all of your other postings & I can't believe that I haven't made it here before! Gorgeous stuff! Love the fur work with your copics! I LOVE this! Wow! 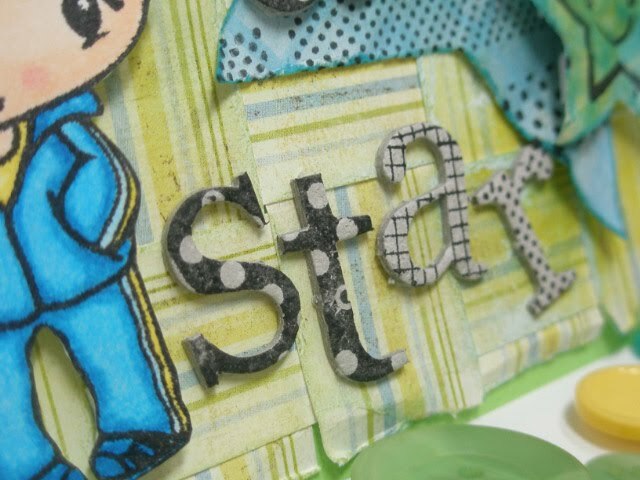 What amazing attention to detail stamping the chipboard w/ the journaling kit and your awesome coloring! I'm so sorry this was missed along the hop-it's adorable!!! Great card! 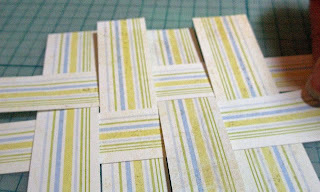 I love that woven background and the stamped alphas - SO creative (as if we didn't know that about you already!)!!! What a cool tutorial!! and Great card! Wow..You have alot of tips in one card and I love them all. I love the stamping tip on the chipboard letters and the weaved background paper is genius!! My brain is on overload on the ideas your work brings in my head. You are amazing!